Commercial zone is 2,640 +- of hwy 30 frontage and 660' +- deep, leaving 40+- acres of commercial usage on a busy highway into Twin Falls. 5 designated entrances already approved for use. 1.5 miles from Twin Falls. 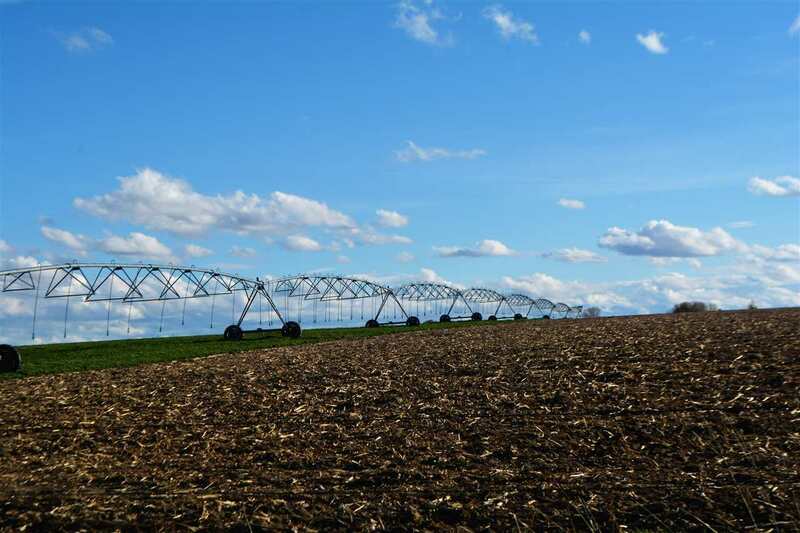 93.43 +- acres are irrigated under the 9 tower Valley pivot. 14.14 +- acres are irrigated with gated pipe. Two other IDWR water rights with 1925 priority dates. Adjacent to the East is the Twin Falls City limits.